Covered Boat Slip with Lift, Oversized Dock Box and Ladder. Lift is rated for 13,000 LBS. Deep water - 8-10' at high tide. This property is Fee Simple. You are allowed to homestead, receive mail and live aboard. Amenities include: Full Shower Men's and Women's Bathrooms, Coin Operated Laundry, Bike Rack, Pump Out Stations , Ice and Vending Machine, Fish Cleaning Station ,On-Site Dock master, all in a Gated Community. 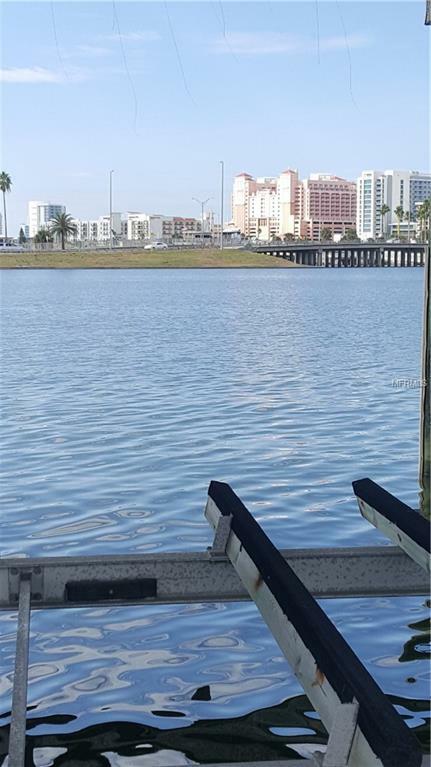 Enjoy the proximity to Clearwater Beach and The Clearwater Aquarium. There are restaurants, shopping and a Postal Service just down the street along with a Childrens Playground right next door.